A new teacher training facility is opening in Chichester – Recruitment is now on. 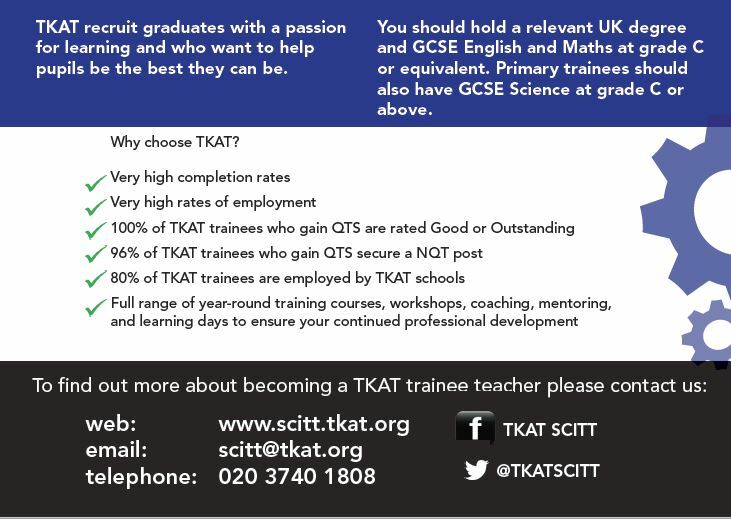 TKAT (The Kemnal Academies Trust) are currently recruiting graduates with a passion for learning and who want to help pupils be the best they can be. Due to increased demand for their high-quality teacher training programme, a new TKAT training facility is opening right here in Chichester, based at Chichester High School. The new Chichester hub has been established to meet the teacher training needs of TKAT and partner schools in the West Sussex and Hampshire. Previously, trainees travelled to the regional centre in Kent but it is hoped that the new facility will prove much more convenient for local applicants in West Sussex and Hampshire. 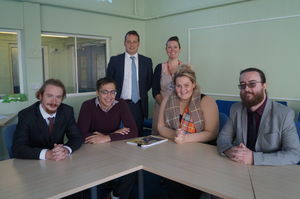 Trainees will work alongside qualified teachers to provide a range of teaching and learning support in secondary schools. 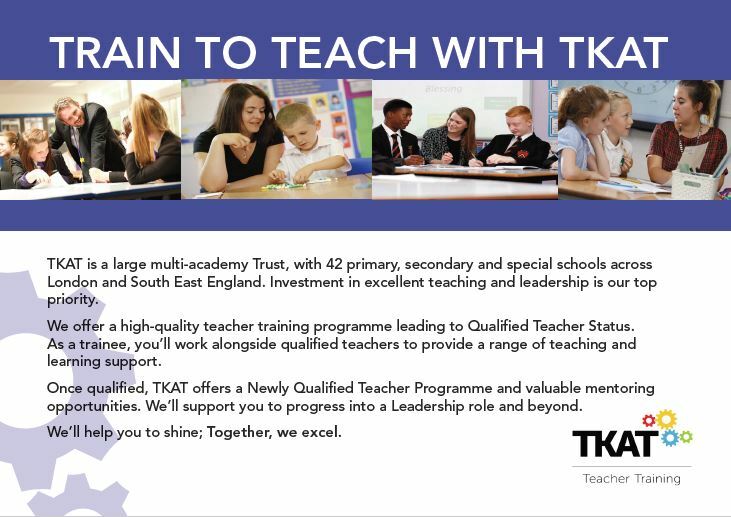 Once qualified, TKAT offers a Newly Qualified Teacher Programme, valuable mentoring opportunities and support to progress into a Leadership role and beyond. Our first Chichester hub trainees are pictured above. They are future teachers in Biology, Physics, Mathematics, Physical Education and History. September 2018 – June 2019.